Geography as a scientific field and teaching subject in secondary and higher schools within Ukraine has a long tradition. Suffice to recall a former Galicia citizen – an astronomer, geographer and physician Yuri Drohobych (1450-1494), which in his ” Prognostikon ” in 1483 had determined the coordinates of many European cities, including Lviv city. B.Haket is be considered to be forerunner of geography at Lviv University. Here had been already existing a department called “natural history of physical geography, technology and field crops.” Before the Krakow geobotanist Antony Rehmann founded the first department of geography here in 1883.Within this department in the 1790-1805 had worked prominent researcher of Ukrainian geography – B. Haket -. On January 1, 2013 lasted 130 years since a famous geographer and geobotanist Antony Rehmann chaired the geography department at the University of Lviv, which later developed into the Institute of Geography. Period of geography developing in the University of Lviv is associated with Rehmann`s name. Rehmann trained worldwide known geographers including Gregory Velichko – his first doctoral and the first Ukrainian – Doctor of Geography. 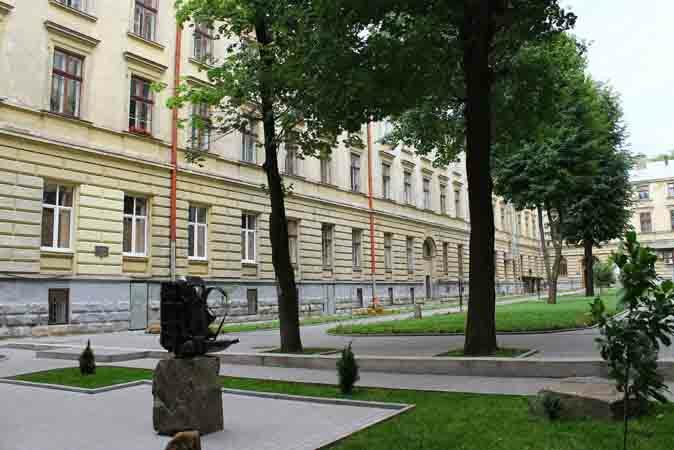 The first period of the geography in the University of Lviv is associated with tuting in it (1895-1899). And the first scientific work of another A. Rehmann`s student – well-known Ukrainian geographer, founder of the national geography- academician Stepan Rudnytsky. Geographical and geological lectures was provided by professors R. Zuber and Ya.Semyradskyy. Since 1911 the Institute of Geography at Lviv University led a Rehmann`s student, his second doctoral Eugeniush Rohmer – well-known Polish geographer, climatologist, cartographer, who led it up to the 1933. Since 1933 the Institute of Geography was headed by Prof. August Tsirhofer – one of the Rohmer`s inmates, known for his work on geomorphology, got the Doctor Habilitation at 1927. Volodymyr Kubiyovych became the lead-person of Ukrainian geography and geography of Ukraine at general, after the repression of an Ukrainian geography founder Academician S. Rudnitsky ( was repressed by Bolshevik regime in Kharkiv (1933) and shot in Sandarmokh (Karelia, 1937)). Yuri Polansky was the head of the Institute of Geography in 1939, which at that time (the period between the two world wars) was well-known in scientific circles as a geographer, geologist and archaeologist, in particular for his unique work “Podillia studies: terraces lesses and morphology of the Galician Podillia above Dniester “(1929). Y. Polansky was the first Ukrainian one, which, came to work in the Institute of Geography as well after a long break. The next stage of geography at the University of Lviv began after the Second World War (1945) and lasted until the second half of the 80s. Founded in 1945 Geography Department replenished mainly graduates of Kharkov University (A. Vashchenko AP Tsys, I. Svarychevskyy etc.). Among the teachers a graduate of the University of Vienna was O. Stepaniv well-known geographer and activist. In the 1945-1950 biennium. Functioned at the Faculty of four departments: general physical geography (head to 1947 P. Tsys from 1947 – M. Andrianov) Economic Geography (Head A. Vashenko) Regional Physical Geography (head to 1947 P. Buchylo from 1947 – P. Tsys), Geodesy and Cartography (head S. Evseev). From 1950 to 1988 operates three departments: physical geography (head in 1950-1954 years. M. Andrianov, 1954-1974 gg. – K. Herenchuk, 1974-1994 gg. – G. Miller, 1994-2001 . – B. Fly (Acting) from 2001 – A. Miller); Economic Geography (headed in 1947-1984 gg. A. Vashenko, 1984-1986. – M. Parobetskyy, 1986-1987. – M. Honak (last two – acting), 1987-1990. – F .Zastavnyy from 1990 – O. Shablii, geomorphology (head 1950-1971 biennium. – P. Tsys, 1971-1976 gg. – L. Skvarchevska, 1976-1987 gg. – J. Kravchuk, 1987-1990. – I.Kovalchuk from 1990 – J. Kravchuk). During the period from 50’s to early 80 th century. created and developed teaching and research hospitals in the Carpathians (Dniester geographical permanent settlement. Yezupil Ivano-Frankivsk region. ), Polesie (Shatsky bio-geographical permanent settlement. Shack Volyn region.) Carpathians (Chjrnogora geographical permanent settlement. Vorohta Ivano-Frankivsk region.) on Roztochchya (Roztotskyy landscape and geophysical permanent settlement. Bryukhovychi). The next step in the development of geography science at Lviv University is the period that began in the second half of the 80’s – early 90 th century. Since the beginning of this period, which accounted for a radical restructuring of society and the Ukrainian state associated rapid structural growth faculty, development of new scientific fields and schools. In less than five years created four new departments: natural resource management and conservation (1988, head in 1988-2003. – J. Tunytsya from 2003 – S. Kykyrydza) Geography of Ukraine (from 2010 – R. Lozinski), political geography and cultural studies (1992, Head – M. Malskyy, in the same year, after the creation of the Department of International Relations and election Malskyy M. Dean moved into the structure of the faculty, then shared and changed the name), soil geography (1993, Head S. Pozniak). Later still created two departments: structural Geography and Cartography (2000., Head in 2000-2008. – I. Kovalchuk, from 2009 – V. Petlin) and tourism (2003., Head of M. Malska). A new research and teaching laboratories, engineering and geomorphological studies – RL-51 (1990, since 2000. – Engineering and geographical, environmental and tourism studies), soil ecology and land use – RL-52 physical and chemical analysis of soils , thematic mapping (1974), Landscape Research (1976), GIS technology and landscape planning, analysis of soils and natural waters (2002) study of local social systems, GIS modeling and mapping (2001), geochemistry and geophysics landscapes, environmental impact assessment (2005 ), educational travel agency (2005). In 2011 at the Department of Economic and Social Geography created educational laboratory “Comprehensive atlas mapping.” In 2012 the laboratory chemical analysis of soils has received the certificate of state certification. Dean of the faculty in different years were V.Levyc’kyj (1945-1946), A. Vashenko (1946-1951), I.Svarychevskyy (1951-1952), AP Sitnikov (1952-1953), P. Tsys (1953-1964), N. Andrianov (1964-1968), Mr. Klimovich (1968-1974), B. Lyashchuk (1974-1976), H. Miller (1976-1984), J. Kravchuk (1984-2002), J. Khomyn (2002-2011). Since March 2011 B. Bilanyuk became dean of the Faculty. Geographical Faculty of Lviv University and today remains the leading educational center in Ukraine of training of the highest skill level. The faculty trained more than 1,500 full-time students and 555 students of correspondence courses.